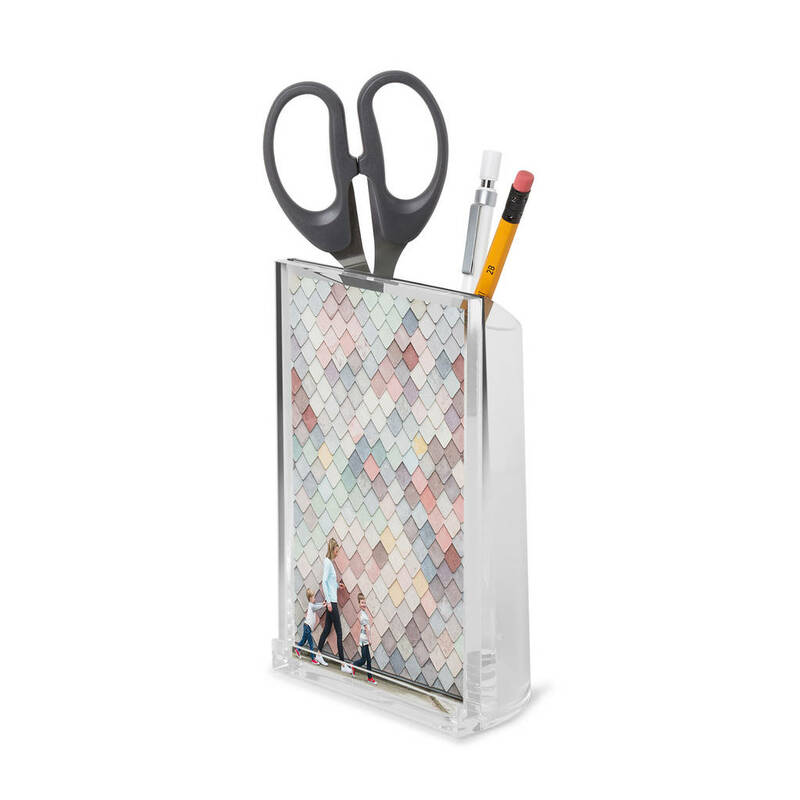 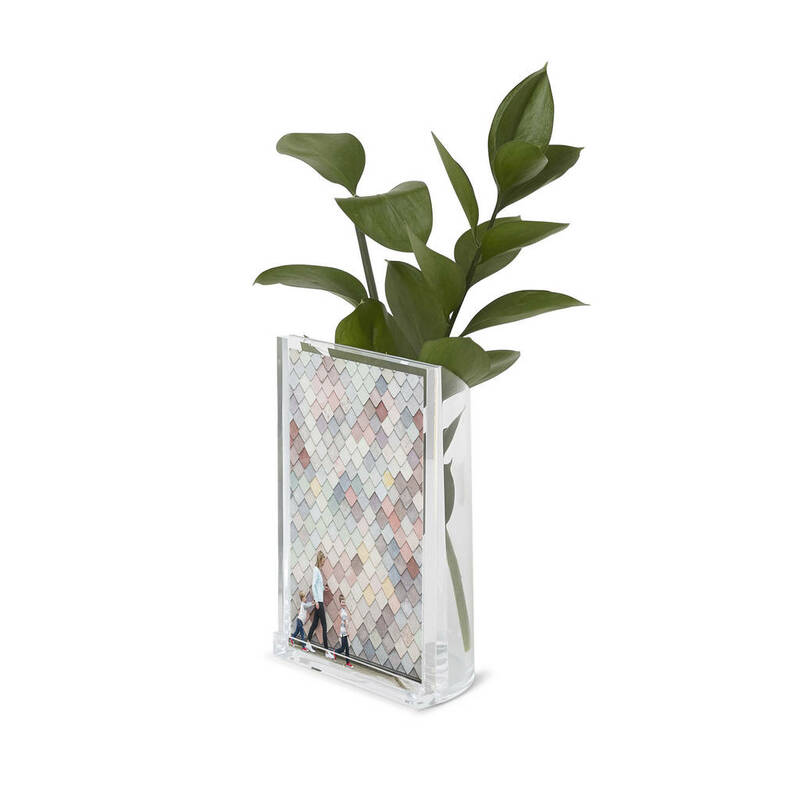 A multi-use desk tidy or vase with an added photo display frame for your desk. 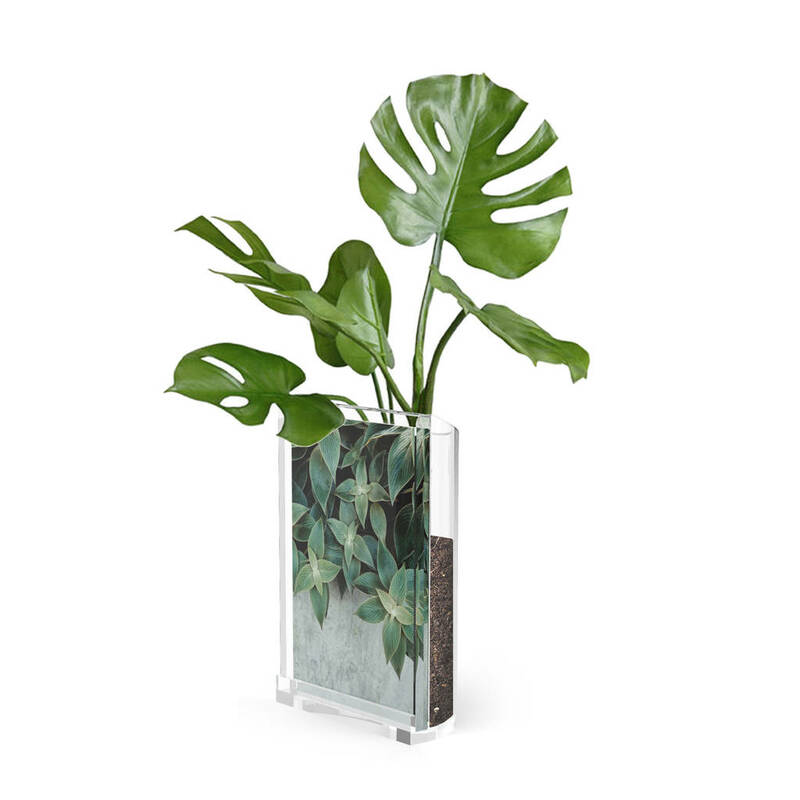 This beautiful clear curved desk tidy pot can house plants, writing utensils, and accessories as well as a photo display section. 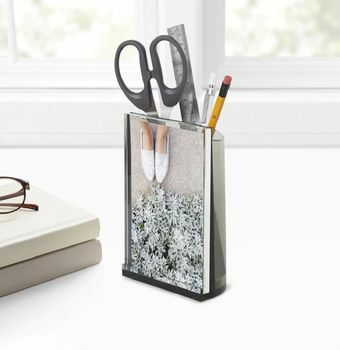 Easy to use: Add or swap photos in seconds – simply remove the acrylic front panel, apply a small piece of double-sided tape to the frame, place your 4 x 6 or 5 x 7 pictures on top of it and place the panel back in. 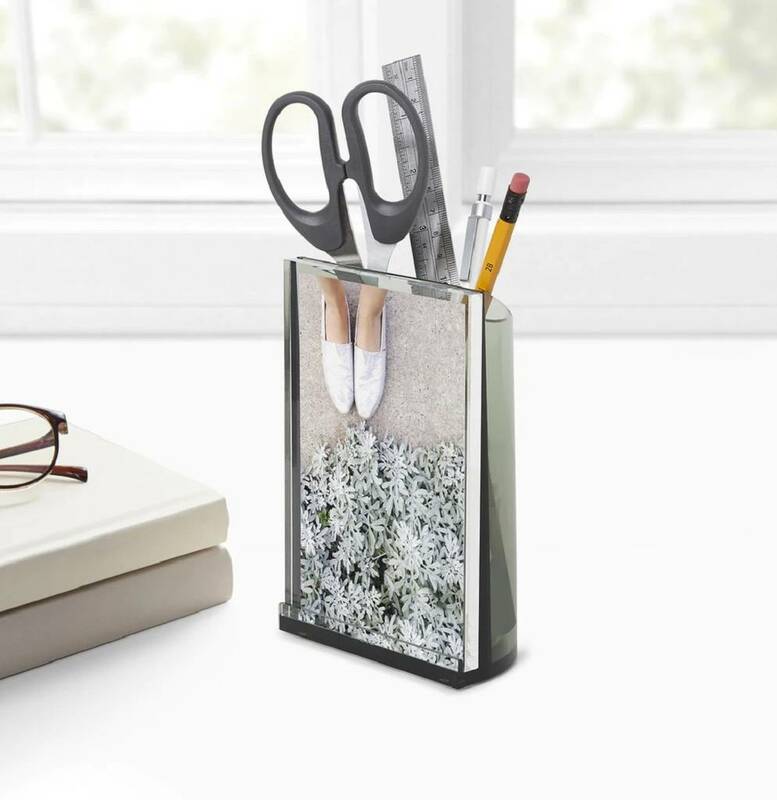 Photo frame section fits 4 x 6" and 5 x 7" vertical pictures. 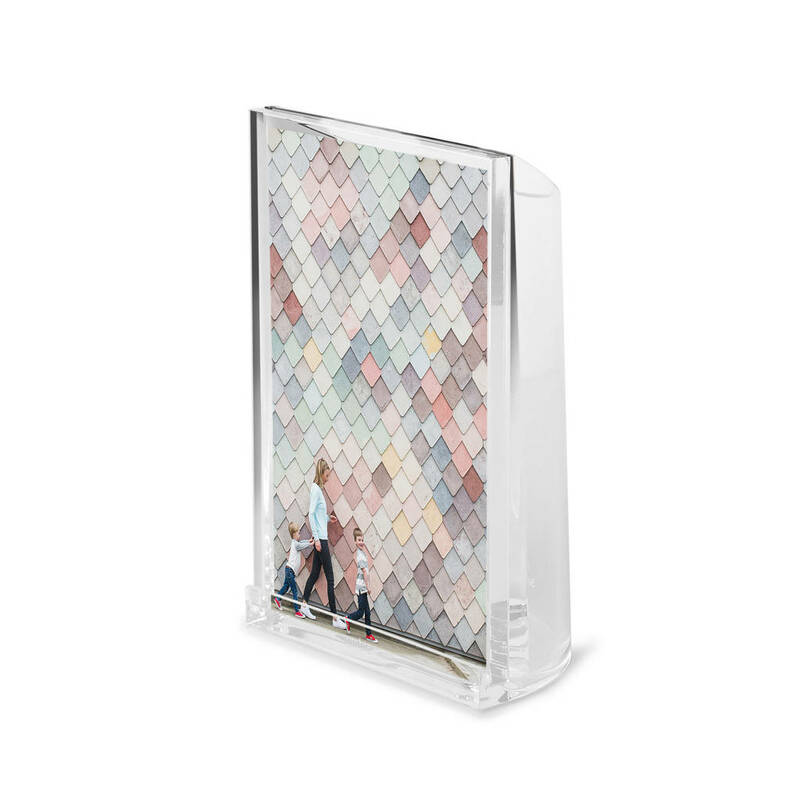 5.5" x 7.5" x 3"